With ten separate organizations and more than 350 potential hospital destinations, the team at Brooke Army Medical Center (BAMC) realized they needed an interactive wayfinding kiosk solution that could handle such a colossal undertaking. More specifically, BAMC wanted a user-friendly touchscreen interaction with easy wheelchair access, and rugged durability to allow for 24/7 unattended operation at each of their main entry points. The directory needed to provide hospital visitors and staff with dynamically generated maps and turn-by-turn directions, complete with a way for the maps and directions to be accessed on their smart phones. Based on security requirements and the need for patient privacy, the solution could not depend on outside connectivity or support — it had to be able to integrate into the existing BAMC architecture and government-owned servers. The software security features needed to allow the kiosks to be configured to prevent countless unauthorized operations. DynaTouch worked closely with BAMC to develop a solution that met their requirements exactly. The services provided by DynaTouch included project management, consultation, content development, graphic design, and installation. The hardware solution consisted of six upright ruggedized kiosks outfitted with 55” portrait displays with infrared touchscreens. Locked inside the steel enclosures are desktop computers, pre-loaded with Windows 7 Pro and a lifetime TIPS Kiosk Management Software license. TIPS software is a highly secure, 4th generation COTS product developed by DynaTouch, designed specifically to prevent unauthorized operations and allow for unattended use on a public-accessed kiosk. Using BAMC photographs and logos, DynaTouch created a BAMC-branded interactive environment with welcoming screensavers, an intuitive main menu, and a comprehensive set of wayfinding maps with QR codes to generate mobile versions. Upon touching the screen, kiosk users can quickly set their desired destination from database-driven selections. Users can choose to search by A-Z, by category, or by keyword. The large portrait display presents easy-to-read selections and allows a standing visitor to touch anywhere on the screen, while a seated visitor can utilize a scrolling selector tool at the bottom of the interface. Once a selection is made, the user is presented with a color-coded 3D map displaying a path from the ‘You Are Here’ location to the selected destination, as well as corresponding written directions. The kiosk user can opt to scan the QR code for a mobile version of their map, or choose to print their map for pick up at the nearest location within the facility. To solve BAMCs request for a staff-only view, the maps database was designed to include all destinations, but the standard view was filtered to display only visitor destinations. For BAMC staff, a secret button was hidden in the display, allowing them to access and view the unfiltered, full list of destinations. The DynaTouch solution also included a lifetime license to the TIPS Content Editing Software, which was loaded onto a designated BAMC server. This software allows for seamless editing of all kiosk content by non-technical BAMC personnel. Authorized personnel can access the editor via multiple security levels, and administrators can grant or restrict user access as needed. CAC certificates can also be used to gain access, rather than usernames and passwords. Upon successfully logging in, a BAMC-specific dashboard is displayed, providing access to the Screen Savers Editor, the Building Directory Editor, and the Users Editor. The Screen Saver Editor allows BAMC personnel to upload new images, modify/control the display order, and enable/disable them on specific kiosks. The Building Directory Editor allows BAMC personnel to add/delete destinations, select/change base maps, draw/modify paths with a few simple clicks, and add/revise written directions. In addition, authorized personnel can copy data/routes from other records, modify line colors/thicknesses/icons, and push published changes to the companion website hosting the URLs for the QR Code-generated maps. 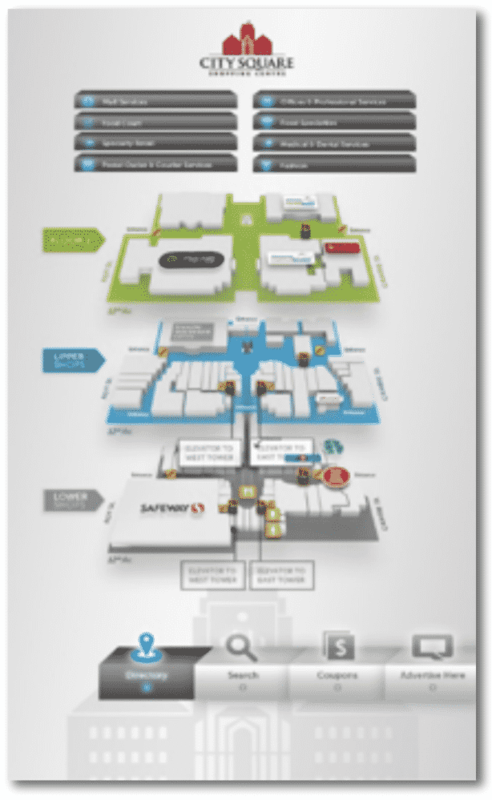 With this comprehensive solution, the team at BAMC has set the standard for visitor wayfinding. The BAMC Interactive Directory Kiosk system is truly state of the art in helping people find their way across such an immense institution. Contact DynaTouch for more information. This project was featured in a video published on the BAMC YouTube channel. Click here to watch the video. Meridian, the Customer Experience Leader in self-service solutions, announced the launch of MzeroDirectMe, an interactive building directory solution. DirectMe enhances visitor experience through self-service wayfinding and can be tailored to meet company specifications. The user-friendly building directory was created for high-density areas including corporate offices, hospitals and government buildings. “It’s extremely customizable but also very easy to use. The interactivity and expandability allow the directory solution to be as simple or complex as needed,” said Jeff MacDonald, Director of Software Integration at Meridian. Meridian, the Customer Experience Leader in self-service solutions, announced the launch of MzeroDirectMe building directory software application. The new software solution from Meridian offers visitors an interactive, easy-to-use directory solution. “DirectMe is intuitive and interactive, making it easier than ever for visitors to reach their destination,” said Chris Gilder, CEO of Meridian. DirectMe allows users to search for information, send the information to their mobile device and print a physical copy of the directory information. “We wanted to create a self-service solution for high-density business buildings and geographically spread campuses,” said Paul Burden, Director of Software at Meridian. DirectMe is built on MzeroPlatform, Meridian’s industry-leading software solution, which provides system performance management, system security and a wide range of component support. The self-service software can support a number of devices and features including printers, VoIP and SMS. “Because it’s an extension of our MzeroInterAct digital signage platform, all of the digital signage features are still available,” said MacDonald. DirectMe offers multi-language support, interactive map guidance and remote monitoring with MzeroManage. Meridian will be adding emergency messaging to DirectMe in the new year. Emergency messaging capabilities will allow for building and campus-wide alerts. DirectMe is available as a stand-alone software package on existing hardware, or available on ready-to-ship Meridian kiosk models. Learn more about MzeroDirectMe by visiting http://meridiankiosks.com/interactive-directory-signage. St. Paul, MN – November 30, 2016 Express Image, a St. Paul, MN based print and digital solutions provider, has deployed six new interactive wayfinding kiosks at Mall of America®, the nation’s largest retail and entertainment destination. Just in time for the busy holiday season, the recently installed dynamic interactive kiosks are more than just a directory, for the 40 million guests that visit the mall annually, they are a true interactive engagement hub that connects information and communication into an intuitive, efficient and delightful user experience. When a guest approaches the interactive wayfinding kiosks they are greeted with a vibrant, eye-catching tool that allows them to receive the customized assistance they need within as little as 10-20 seconds. The 2-D wayfinding provides an eagle view with stacked multi-floor destination, travel times and route directions. The directory provides the power to instantly share and visualize the data on your smart phone through the text to phone feature which further engages customers and allows them to interact with mall guest services. “We are driven by a passion to make business and consumer information live, visually interesting and easy to use and understand through our digital solutions. The slick modern design, search function, step by step directions, dynamic pop-ups, text to phone features right down to the functionality that informs the guest as to which direction to go to start their journey, is sure to impress mall guests during the holiday season and throughout the year. NEW YORK, Oct. 31, 2016 /PRNewswire/ — Simon, a global leader in retail real estate, is rolling out new, interactive digital directories to nine centers in time for the busy Holiday season with a broader roll out planned for next year. New interactive digital directories are currently in use at King of Prussia. (PRNewsFoto/Simon). Click for full size. These enhanced, innovative digital directories incorporate the latest in digital wayfinding and interactive capabilities and are designed to provide shoppers with convenient access to what’s going on at their favorite mall through an engaging new user interface. These next generation units use 65″, LCD, full HD touchscreens and are strategically located in high-traffic areas, coming to life when a shopper walks within a few feet of the screen. The digital interactive maps highlight the location of shops and services and display the fastest route for shoppers to take. Shoppers also have the option to send those directions to their mobile device through a variety of digital communication channels (beacons, NFC, SMS, etc.). A universal search option allows for a quick search of stores, dining options and services. Information on the latest offers and deals available from retailers and restaurants equips shoppers with all the information they need to make their shopping trip productive and enjoyable. In addition, the digital directories utilize the latest location-based marketing technology to allow brands to connect directly with their customers with real-time, relevant information. The new units were unveiled as part of King of Prussia’s grand reopening festivities in August and are also installed at Clarksburg Premium Outlets (Clarksburg, MD); Copley Place (Boston, MA); Fashion Centre at Pentagon City (Arlington, VA); Florida Mall (Orlando, FL); Forum Shops at Caesars Palace (Las Vegas, NV); The Galleria (Houston, TX); The Westchester (White Plains, NY); Stanford Shopping Center (Palo Alto, CA) and Del Amo Fashion Center (Torrance, CA). Installations to expand the network will continue on a rolling basis. These next generation units were created in partnership with Gable, an award-winning provider of digital displays that helps businesses connect and engage people through effective visual communications, and Acquire Digital, whose digital signage, wayfinding and interactive development tools are being used by Blue Chip brand names around the world. Simon is a global leader in retail real estate ownership, management and development and a S&P100 company (Simon Property Group, NYSE: SPG). Our industry-leading retail properties and investments across North America, Europe and Asia provide shopping experiences for millions of consumers every day and generate billions in annual retail sales. For more information, visit simon.com. with its new Wayfinding kiosk solution. Acquire Digital® are very excited in the release of its new interactive Wayfinder kiosk solution, rolling out across America in Simon℠Shopping malls. Navigating large locations such as shopping malls can be difficult and time consuming, with traditional printed static maps often adding to the confusion. Digital Directories reduce the time taken by shoppers to find their destination by displaying the most efficiently and useful route for shoppers to take. The Acquire Wayfinder has been developed over a number of years to produce a simple and fun interactive experience that can be installed in Shopping Malls, Airports, Exhibition spaces, City Centres and anywhere visitors need to find where to go. Over the years, it has evolved from a simple routing / mapping system to something that makes the shopping experience enjoyable and intelligent so that users can be guided not only to their destination, but also receive supplementary information related to their destination or along a route. For Simon, Acquire Digital have used their highly configurable UI/UX system and customized their wayfinder to match the branding and requirements of Simon, whilst integrating with the Simon data to avoid duplicate entry of store details through the normal Wayfinder CMS. This also allows for more than just Wayfinding, but advertising opportunities and information about offers and events to engage with the shoppers. The Acquire Wayfinder consists of a fully interactive, live 3D map, with multi-touch pinch & zoom, and a number of different methods to choose the destination. Even the map itself is interactive as it allows users to touch any store and find relevant information about their destination, and an animation and turn-by-turn directions of the best route(s) to their destination. Shoppers have the option to send their chosen route to their mobile device by scanning a QR code, activating a built-in NFC tag or sending an SMS message to take their directions with them on the go. Acquire Digital® have incorporated Beacon technology for onward routing, cameras for user recognition and audience measurement, and many other modern technologies which means the technology is always similar or better than the experiences users expect nowadays. This project has been a huge accomplishment for the Acquire team, in collaboration with Baltimore based partners Gable. Acquire Digital® has been developing digital signage and interactive solutions since 1997. With a range of products including Digital Signage, Wayfinding and interactive development tools, plus their ability to customize their offerings, Acquire has been working with many Blue Chip brands over the years in countries across the globe. From their headquarters in Leicester (UK) and offices in Boston (USA) and Macau (Asia) they provide a complete software solution from design to install and operation, whilst partnering with best of breed companies to fulfil amazing technologies across most vertical markets. properties and investments across North America, Europe and Asia provide shopping experiences for millions of consumers every day and generate billions in annual retail sales. For further information regarding this project or details about Acquire Wayfinder contact the sales team: [email protected], or visit acquiredigital.com. A very nice article on usability and design by Digital Wellbeing Labs. This is earlier review of earlier iterations of the “cool unit” that was just deployed at JFK. Why do some kiosks appeal, whilst others are frankly just repulsive? I have this weird relationship with kiosks in public places. As a classically trained interaction designer I am compulsively attracted and start poking them to see how they react to my avances. Some kiosk types such as ticket dispensers and ATMs are utilitarian and are aimed to speed up purely functional transactions. Other types aim to guide the public to their destinations or attract passerby’s to engage with one or another dynamic brand. It’s incredible what kind of mess there is out there. Sometimes to the point of being hilariously tragic. Many kiosk variations are present in public spaces. After more than two decades of various types of displays one would expect that engaging and usable versions are commonplace. Take for example the ticket kiosks for the Heathrow express and how many iterations and changes of language it took to achieve a reasonably usable system … and it’s still not quite there. Quite often it is not about the overall idea of placing a kiosk in a particular environment, but it comes down to small details in the implementation and the successive management of the set-up that determines acceptance and success. It’s about time we create a Michelin-Star type rating for public services with a special section dedicated to kiosks and websites. Mind you these systems are rather expensive to implement. In the professional press and in marketing blurbs most of these systems are praised as the ultimate in customer service and brand representation. But, if you look underneath the hood it is consistently a ragbag of off-the-shelf components, clumsily assembled and arranged according to limited space into a custom made shell. So why is it, that quite often the implementation of the interaction is left to someone who has been playing around in Powerpoint, or these days, an intern in his second term using Flash? I am regularly baffled by the logic of navigating the menu on most kiosks. It seems that few ever applied serious user testing. And with user testing I don’t mean just being able to perform a given task, but actually taking into account the whole environment, the role it fulfills in the complete user experience, in which the kiosk is placed. I will get back to this with various examples in future posts. I will also discuss in another post how things go seriously wrong when the UI on kiosks is laid out in such a way, that value added services are pushed to the top and the actual purpose of the kiosk is hardly to discover. An excellent recent example of the good and the bad are the information kiosks placed at the new international train terminal of the Eurostar at St Pancras in London and the kiosks found spread around the new Westfield Shopping Mall in White City, West London. Both fulfill similar functions; find a store or service around you, locate the toilets, highlight any events and push some advertisements etc. Both are located in very dense, high footfall environments. I’ve spent some time observing the use by the public of these kiosks and one thing is immediately evident. Whilst the kiosks in St Pancras attract the occasional passerby, the kiosks at Westfield are in constant use. St Pancras – Nowhere near any main entrances and always just out of the way of high footfall areas like escalators. One actually has to almost search for them even when they are highly visible standing throughout the environment. On the other hand, there is little incentive to use them as most of the few shops and services are located along a linear path from the various entrances to the platforms and you will eventually bump into what you may or may not be looking for. Westfield – The kiosks are exactly where you expect them, at dominant locations in the center of entrance areas and on major crossways. One reason for the popularity of the way finding kiosks may be that design specifications of the rest of the environment did not allow to easily find shops whilst scanning the alleys. There are no signs protruding into the corridors, so one needs to stand almost in front of the stores before being able to identify them. St Pancras – The kiosk totems reflect an early nineties design sensibility. Large vertical units trying to fullfil multiple way-finding and information tasks. There are two screens mounted above each other. On top, a general information streaming display, with time, weather and departure info, arranged in portrait format. Below, a touch screen in landscape format, suggesting some kind of relationship between the two screens where there is none. On multiple visits I noticed that some of the displays were out of order. In case you are not aware where you are, the designers ensured to splash the St Pancras name/logo in a prominent position on the totem, instead of using this space for meaningful labels to identify, for example, different meeting location throughout the station. Westfield – This is seriously clever design. The light, almost fragile modern look. The two sides of the kiosk at different angles and slightly different heights to accomodate different user requirements. The table-like setting allows the users to maintain awareness of the environment without having their views blocked. The angle of the displays actually invites to linger and try different options. I am not sure about glare and reflections on the screen but it didn’t seem to bother users too much. I believe the units have been supplied by the BF group but I can’t figure out who designed the units or who actually provided the user interface other than that the original signage for the mall was designed by the Portland Group. The materials used in the Kiosks seems to be the Corian-like LG Hi-Macs which is used all-over the mall. Unfortunately we’ve spotted on some repeat visits some tension chipping around the displays on a few kiosks. St Pancras – Why do designers always try to re-invent the world just when about everyone has got used to one or another interface navigation standard? The main navigation menu button is situated at the bottom right, at about hip-hight, nicely out of sight for most users. More annoyingly each time you press the menu on the touch display a short animation shows a set of button choices stumbling to arrange themselves into a list. If I am in a hurry to reach my train and I have to wait again and again for a 3 second transition to pass by whilst I am navigating the menu, I will soon abandon the kiosk. And what does this animation say about the St Pancras terminal brand? Apart from the placement of the Menu button did the designers actually consider it to be good practice to hide the most common menu options from view, so that the users have no clue what options are available at a glance at any time during interaction with the kiosks. I fully support simple looking interfaces but in this case, out of sight is out of mind .It seems that the content and some of the navigation is provided by completely different agencies not working to the same style spec. Westfield – Even if the touch displays seem not to be as responsive as they used to be shortly after opening, you generally get what you are looking for. Not that it will be any easier to find the actual physical location afterwards. The interface to send a way-finding message to your mobile is probably one of the best implementations I’ve seen so far. Sure one can disagree with the level of menu options in the menu bar at the top that includes of al things “jobs”, or the wording of the bread crumbs underneath the menu, but overall this is a very decent job. I still don’t know who designed the UI but whilst browsing I came across terabyte from New Zealand who did an at least great looking UI for Westfield kiosks in NZ. There can much more be said on a heuristic level of these two similar, but yet again very different kiosk experiences, but this sums up some of the key issues with current kiosks or info-pods, or whatever you want to name these in public spaces. 1. Kiosks placement directed near gathering/rest points – such as snack spaces, not just near main entrance or centre of floor/mall. 4. Have colourful meaningful facade amongst Kiosk community (yep, that’s right a Kiosk is a community member of space-time and lifestyle). Try color changing Kiosk triggered by ambient temp, pressure, or sound. 5. On point 5: A zebra wavy black-white Kiosk in a Zoo, may be more meaningful, than a milky white zonky Kiosk. 6. I agree that Kiosk doesnt have to be represented as boxy or rectangular protrusion. 7. Be a trigger (if not a representation)of human emotions – a flower shaped Kiosk, a “Thomas the tank engine” Kiosk in PINK, … a tourist attraction at par to the Eiffel Tower, et al. A blackberry or an iPod (contemporary icons) looking Kiosk, could possible get the associated manufacturer involved in sponsoring Kiosks. 8. Acknowledge that Kiosk has feelings too – let the entity be the centre of overflowing attraction, for goodness sake. 9. On point 8: In addition, Kiosk can be slightly off the ground, and red-carpeted, named and knighted… Sir Kiosk of Westfield. Excellent article, I agree that for public facing interactive displays, it is so important to make the solution a welcoming experience and then once engaged, deliver what the customer needs in the shortest time possible. • Keeping the content simple relevant to the point and up to date! • Easy and intuitive navigation, for example large navigation buttons in your face and close to the centre of the display, you can lose your customer in an instant if navigation is just too hard! We have all experienced very bad examples which can very quickly disappoint an impatient customer, however it is also good to see that some very fine examples appearing that engage and do the job they were designed to do. 2016 JFK Digital Wayfinding project by OpenEye Global and Ikoniq. Ikoniq has a relationship with Westfield and has done a few projects together starting with something called the Wall Shop in Newark Airport. It is a retail store to help local businesses get access to the airport facility. Giving back to the community, per se. It was an interesting project because it is 20’ long, but had to be delivered through the small elevator in the concourse. Lots of interesting lighting and glass, when it’s open nothing disturbs the retail space, when it’s closed, the glass doors secure the unit and it gives the appearance of as museum case. The next project Ikoniq did was for JFK and it is the directories you see in the video. It is actually a design that Westfield used in Europe, the programming was done by Openeye Global and 22 Mile. Ikoniq just delivered another project to LA, for gate info and way finding. The programming on that one was done by Westfield Labs. Westfield from OpenEye Global on Vimeo. Ikoniq is full service Remote Merchandising Unit provider based in New York. 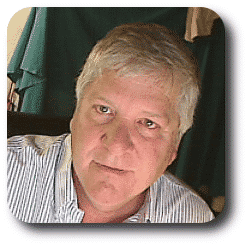 Greg Swistak is the CEO and is a member of the Kiosk Hall of Fame.